Relax and unwind at Holiday Inn Club Vacations Sunset Cove Resort. One of the better HI Club Vacation properties anywhere – Sunset Cove Resort offers unparalleled luxury for the discerning traveler. Vacation units feature 3-bedroom luxury villas nice furnished. Enjoy lounging by the zero-entry pool, hot tub and sun deck. Set on Smokehouse Bay near the center of the island and walking distance to Veteran’s Memorial Park. Sunset Cover features onsite boat docking for its guests and offers a complimentary shuttle service to nearby Tigertail and South Beach. 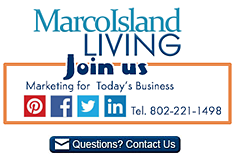 Thank you for mentioning Marco Island Living. Ask us about Holiday Inn Club Vacations Sunset Cove Resort, Marco Island, FL. Copyright © 1997 - Pres. Marco Island Living - All rights reserved.